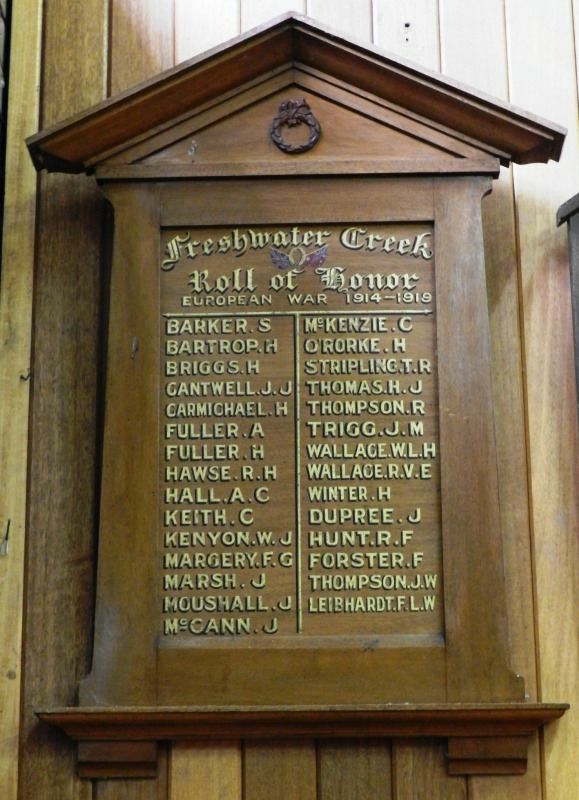 The honor roll containing 25 names was unveiled on 25th April, 1917 at the local school by Cr. W.F. McIntrye and head teacher Mr. J.R. Hawse. Additional names were added to the roll at a later date.